One of the 2012 Centenary Projects has seen the creation of a fully researchable archive, so that the items of memorabilia which the Club has gathered over the years can be used by researchers and other interested parties. 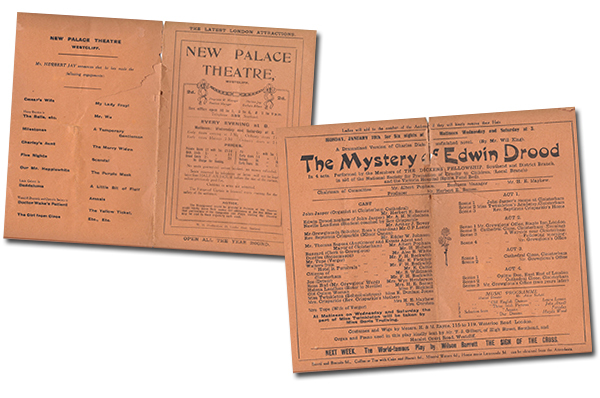 The collection turned out to be exceptionally comprehensive, with many thousands of programmes, press cuttings and reviews, season brochures, press releases, scrapbooks, posters and production photographs. 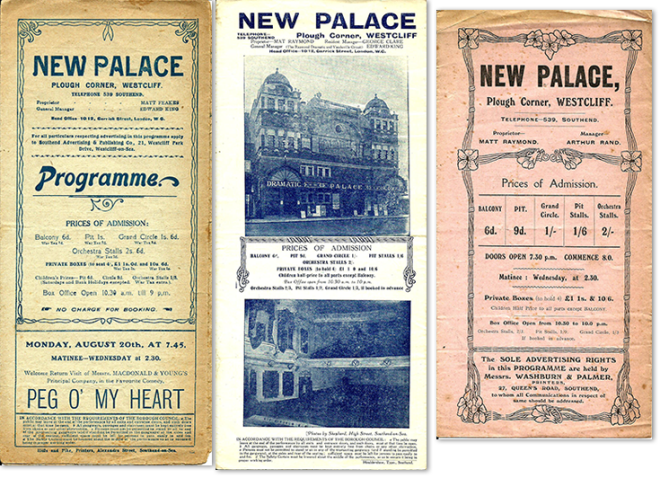 This invaluable material provides a fascinating insight into the trials and tribulations this grand old theatre has been through in its over one hundred year history. 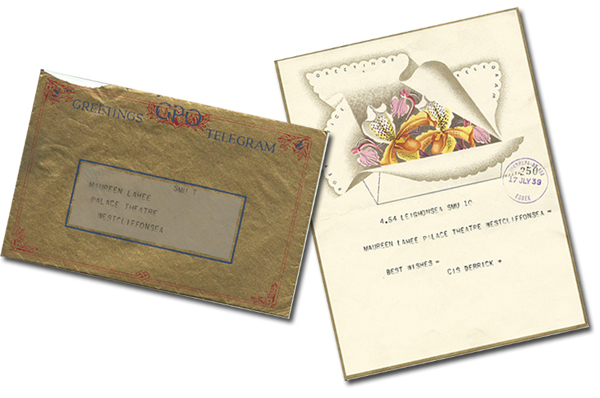 July 1939: A splendidly illustrated “Good Luck” telegram received by 15 year old Maureen Lahee when she appeared in The Breadwinner. With guidance from Essex Records Office the collection was catalogued and safely stored in special acid-free boxes. The Project then moved to the next stage, with our volunteer archivist, David Simpson, working with a team of volunteers – Betty, Debbie, Helen and Judy (together, in the early months, with Hazel) – to scan the material to create a digital record. Not only does this help preserve the material, it makes it that much easier to provide assistance to researchers and other enquirers based outside of south east Essex. This part of the project started in February 2013 and, working mostly one day a week, was completed in November 2014. During that time, just over 14,000 items were scanned: a magnificent achievement! And the work, of course, continues. New shows need to be added and related memorabilia recorded and filed. We are especially grateful for the many donations we receive, and these also need to be recorded and filed. A particularly exciting aspect of the ongoing work is the number of enquiries that are received. These cover a wide range of topics, and can be quite a challenge, but more often than not we can provide a positive response. This is especially satisfying, as one of the prime intentions behind this project was to be able to assist researchers and enquirers. This page was added by Ian Grant on 03/10/2013.